The Kobayashi Online team had a great time over the weekend at PodCamp Toronto, an annual “unconference” that brings together some of the city’s brightest minds in new media. Along with the other interactive sessions, we were especially excited to have our own Andy McIlwain present one of the stellar opening sessions. In this blog post, I’m going to recap some ideas that stood out in my mind from PodCamp both from the sessions and impromptu conversations. Let’s face it: social media can be distracting. It can be fun to post updates to Facebook or Twitter when you have time, but daunting when you have other deadlines and obligations to contend with. This is why James Wilkinson recommends automating your sharing process using Buffer, If This Then That, and Evernote. Buffer lets you write updates when you have time, then spread them out throughout the day or week. If This Then That is an automation app that looks for a trigger (from another app), then an action happens. For instance, you can setup a rule (or recipe) where: if a photo is uploaded to your Dropbox cloud, then it’s published publically to photo-sharing service Flickr. And if it’s published on Flickr, then a Tweet gets sent about it. The final step in James’ automation procedure is archiving. He uses an ITTT recipe to send social media updates to a notebook on cloud-based productivity app Evernote. In Evernote, the update is stored, is accessible on web-enabled devices, and can be easily searched. If you want to see it in action, check out James’ Twitter feed. In her Saturday morning session, corporate filmmaker Sofia Stefou outlined some of the key features of outstanding digital video campaigns. Using a variety of examples, she demonstrated that the best campaigns were: catchy, had clear messaging, and were clearly targeted to a specific audience. Sofia also stressed that even if you’re making great videos, you should manage your expectations. If you plan for your video to “go viral”, chances are it won’t. Instead of a massive number of views, your company may have other metrics for success such as brand perception, awareness, and education. Specifically, instructional videos can give customers a self-serve resource for their questions, letting companies spend less time on support. 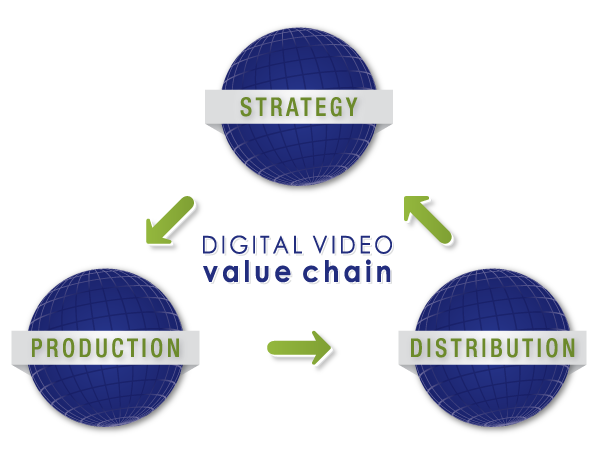 To sell clients on the value of video marketing, you need to explain how video can achieve their marketing goals, and make sure they have realistic expectations of what value they’ll get out of it. Not everyone can be Old Spice. One-time Tamagotchi-obsessive Brian Cugel­man knows about our deep (and often strange) relationships with technology. Feeding and caring for a Tamagotchi – a virtual pet that you raise like a living creature – would be a regular distraction in classrooms. You take the Tamagotchi wherever you go, and it provides the right cues and interaction, punishments and rewards. It’s a game that demands our attention, and that, in the end, teaches us to be good Tamagotchi players. This, of course, is an example of a successful game – but in his presentation, Cugel­man helped apply the principles of interactive experience to applications such as a website. His research led him to a Persuasive Communication Model. Contrary to early models of communication theory where simplistic, presuming that people absorb a message like a magic bullet that makes its target wholly accept a message’s intended meaning, Cugel­man adopts a more sophisticated. 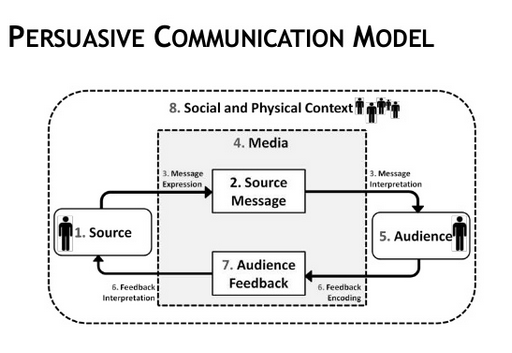 In his Persuasive Communication Model, source messages are encoded by the sender (ie. written) to travel across a medium (ie. the Internet) where they are interpreted by individuals. Furthermore, these individuals will often send messages back by encoding a message for the sender (and perhaps others) to see, for instance, in the case of a review. This feedback is essential in re-tuning the original message to get the desired response. Cugel­man’s introduction to the social science behind communication was a helpful reminder that our relationship with technology is complicated and open to interpretation. To make powerful connections (like the ones made with a Tamagotchi) takes a lot of work, but is the key to building more engaging websites, mobile apps, or social media campaigns. Anthony Marco made us challenge our ideas of authenticity in his Saturday presentation entitled “Manufacturing Authenticity”. In a philosophical sense, we live in a world without absolutes. Saying there’s a “true self” assumes an absolute vision of personhood that we can objectively understand. And it should be obvious that even with great personal insight, we can really never really understand ourselves fully, much less convey what we know completely to another person. This is a basic argument against the existence of a true self, but merely representations. Following similar logic, a brand can never claim to be truly authentic because there’s no essential truth to a brand – merely perception. But what is real, in a sense, is the feeling that something is authentic. For instance, if people trust you and believe in your vision, they’ll perceive this as authenticity. 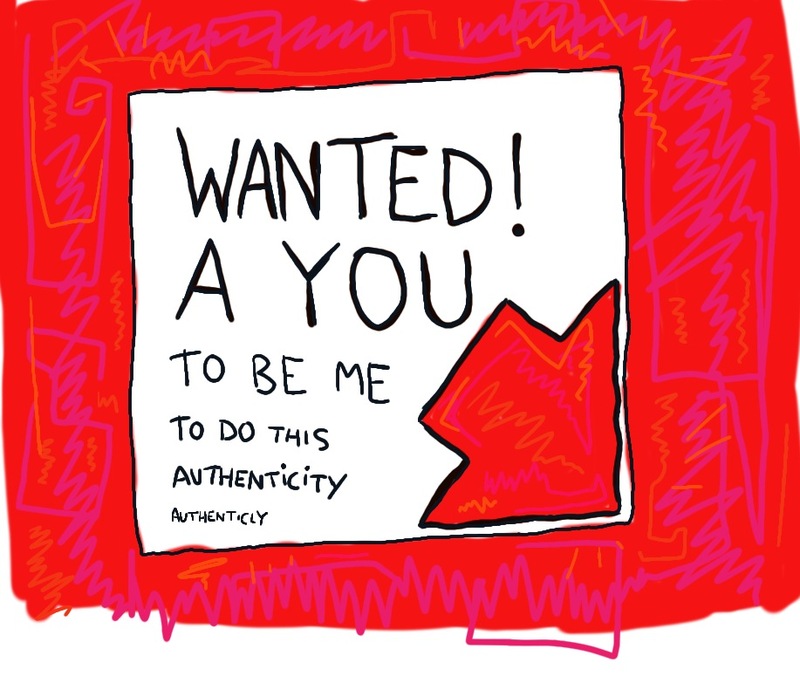 Striving to clearly present who you are and what you do in your actions and your messages isn’t about (paradoxically) manufacturing authenticity, but rather about making your brand trustworthy. As marketers, it’s time to think about what we mean when we say “authenticity”. 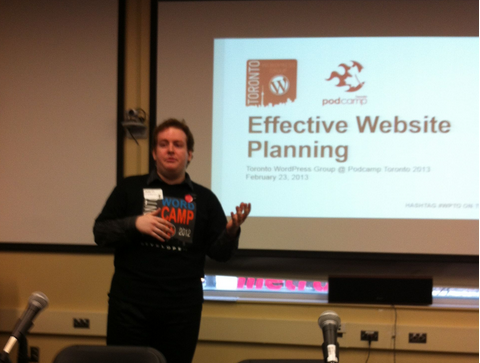 On Saturday, Andy McIlwain presented “Effective Website Planning”, which was well-received and will undoubtedly help websites launch more painlessly. Before even touching code, creating a project roadmap can ensure everyone involved knows their responsibilities, that you have the resources to complete what you need, and that things run as smoothly as possible. Planning has helped us more clearly define projects and identify problems before they derail a project. Of course, things don’t always go the way we thought, but good planning takes this into account. Don’t let you enthusiasm over a new project cause you to overlook the website planning stage.